CRAZY COOL GROOVY!!! : MOVIE TRAILER - OCEAN'S 8!!! SANDRA BULLOCK is DEBBIE OCEAN, and CATE BLANCHETT, ANNE HATHAWAY, MINDY KALING, SARAH PAULSON, AWKWAFINA, RIHANNA, and, HELEN BONHAM CARTER, are her comrades in the forthcoming heist film, OCEAN'S 8!!! OCEAN'S 8 is the brand-spankin' new all-female take on the OCEAN'S 11 film franchise. OCEAN'S 8 has DEBBIE OCEAN attempting to pull off the heist of the century at New York City's star-studded annual Met Gala. Her first step is to assemble the perfect crew: Lou, Amita, Tammy, Constance, Nine Ball, and Rose. The film opens Friday, June 8, 2018. 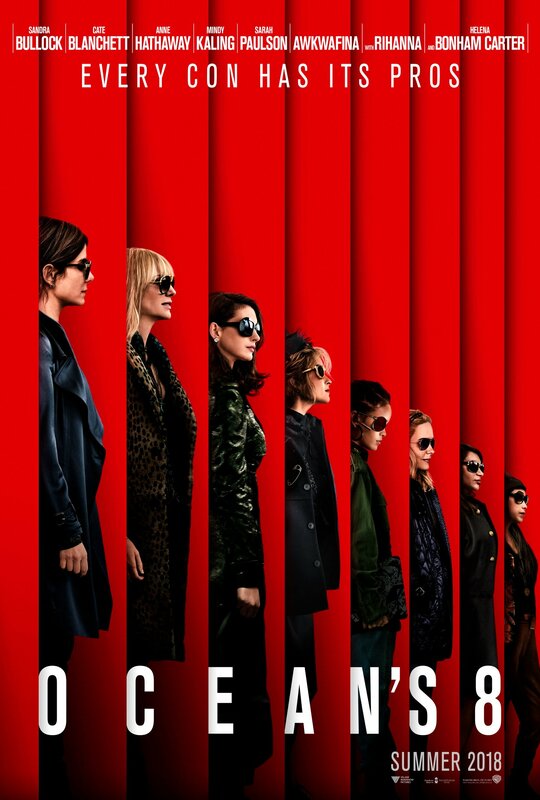 Will YOU be going to see OCEAN'S 8?? ?